After only four years at RHS, Dr. Cron is ready to take the next step in his career. On July 1st he will officially assume his new position. Until then, he will be working closely with current superintendent John Retchless, whom Dr. Cron says he has and will learn a great deal from. Even though July 1st is months away, Dr. Cron already has some ideas and plans for the district. The seniors are all smiles as they gather after their 8-6 win on Friday night. On their first possession, quarterback Ali Sammon put the juniors on top driving for the first touchdown of the game. But the seniors’ defense stopped their two point conversion try. Near the end of the first half senior quarterback Kyra Rose scored a touchdown and Kylie McKenna got the two point conversion. That was all the scoring they would need as they defeated the juniors 8-6 in this year’s Powderpuff game. With all of the scoring taking place in the 1st half, defense was the order for the second half. As senior coach, Steve Norris said, “Defense wins championships.” Congratulations to the Class of 2016 and to both teams for an exciting game. Juniors win the coin toss. Senior captains listen to the ref. Juniors came out for the game and gave the seniors a game. Steve Norris and Mike Ahern go over their plays. Juniors are all smiles as they go ahead early in the game. Kyra Rose led the senior offense. Coach Goode and Ali Sammon. Seniors at the goal line finally score. The seniors are ready for the game. The quarterbacks for the game. 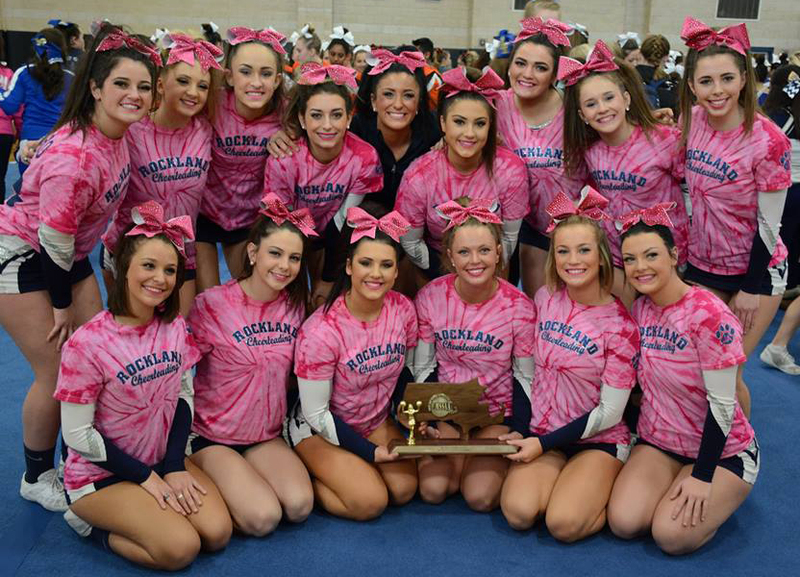 The RHS cheerleaders will be putting it all on the line on Sunday at Algonquin Regional High School as they compete for the Division 4 State Cheerleading Championship. They will be competing around 11 am. The girls have been successful this competition season with a South Shore League title and a first place finish in the Division 4 South Regionals last Sunday at Whitman-Hanson. Congratulations and Good luck girls! It’s time for another edition of “Where are they now?” There are three more past alumni that have used RHS in the correct way to pave the way for their future success. One graduated early, one was a cheerleader at RHS, and one was very involved with the percussion section of our music department. One wants the simple American dream, one wants to become a teacher of the younger minds, and the last alum is deciding between pursuing a career in math or music theatre. 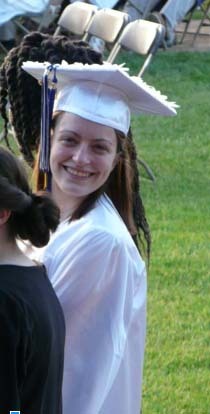 Ella Engle at graduation last June. First is Ella Engle who graduated last year. She was actually from the Class of 2016. She did not know she was on pace to graduate in 2015 until after college applications were due. So, she missed the original application deadlines, but will be attending UMASS Lowell in January, 2016. 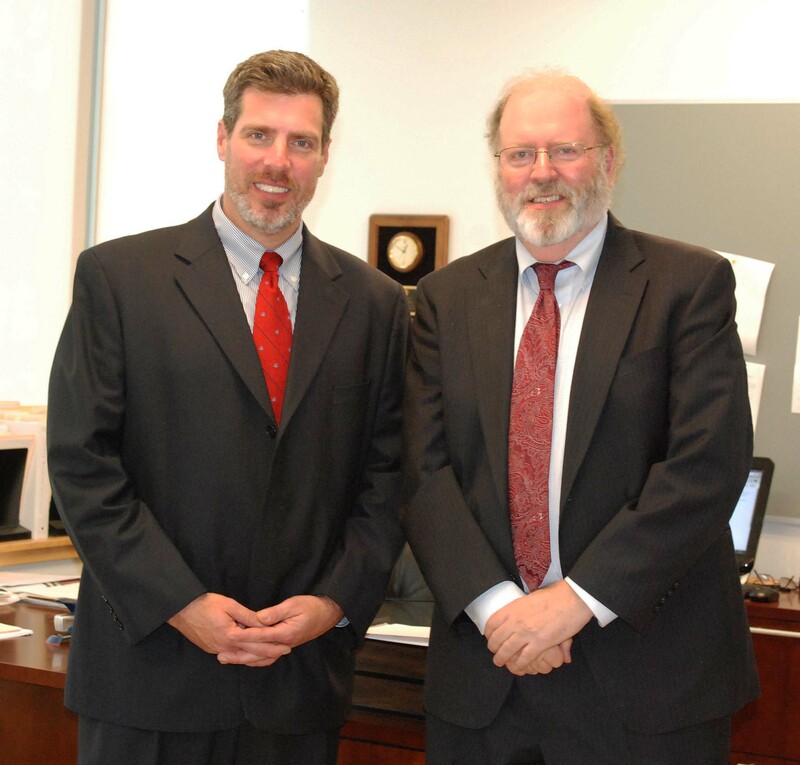 Engle has been keeping occupied by taking gen-ed classes at Quincy College in the meantime. Her American dream is to become a teacher in order to inspire others through her line of work. In addition to that she wants to get married, raise a family, and read some great books along the way. It is awesome to see how teachers at RHS might have impacted her to decide to want to become a teacher. So thumbs up to Ella Engle and the teaching staff at RHS! Lastly, Engle’s advice to seniors is to be role models for underclassmen and set an example of what it means to be a Bulldog. Killion’s connection to RHS remains strong. “Bulldog Nation always comes together for each other in times of need.” She says she greatly misses her friends, the teaching staff, and the cheerleading program from RHS. Her advice to the Class of 2016 at RHS is: “Be happy to be the oldest in the school right now because you will be little freshmen again!” Also, she said that we should live every day like it’s our last. To sum it up this girl has goals and a passion for reaching excellence in whatever she decides to do. 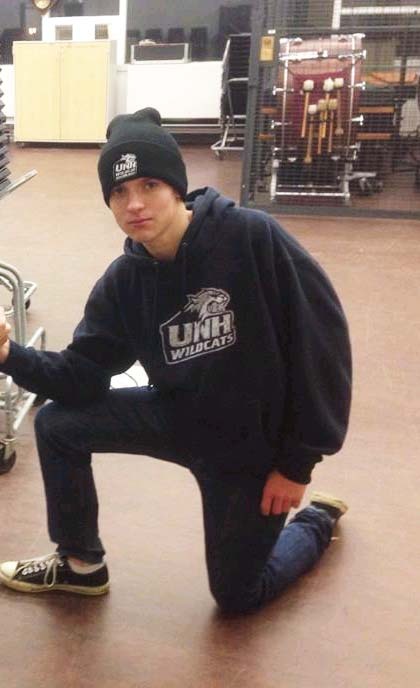 PJ Butler is a freshman at UNH. Whatever direction Butler goes in, whether it’s math or music, he will do great because he has a leader’s mentality. The Veritas would like to continue this feature, “Where Are They Now,” so if you want to participate or would like to refer a good candidate for our profiles, email us at mivanoskos2016@rocklandschools.org. 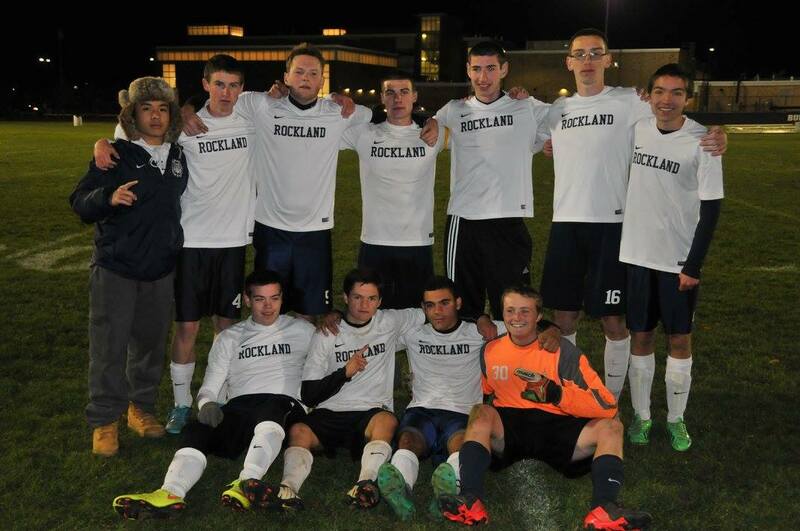 It’s a tradition for RHS sports teams to honor their seniors on the last home game of the season. Following are links to the individual senior nights (or days) held this year for the girls soccer team and boys soccer team, the football team, the volleyball team, the cheerleaders and the band. Boys soccer photos were taken by Hope Geary; football, cheerleaders, band, and girls soccer were taken by Kelley Reale. Senior Cheerleaders are Bella Rindone, Kylie Keefe, Sam Aylward, Carly Reardon, Kiera Tobin-Rosman and Liz Knobel. If you’re involved with a sport or club, you know about the dreaded fundraising that comes along with it. Now, you have One Rockland to help you out with that. One Rockland is a new unified fundraising program that will hold large fundraiser events that will bring in a bigger income. The income will then be divided between all of the teams and clubs in the school. This will also allow students to work together in order to reach the same goal. Gregory Rowe, a history teacher and varsity soccer coach at Rockland High, is donating his time to students and stepping up to run the program. Jaymie Atkins, Matt Dunn, Jeffre Donahue, Danielle O’Brien, Erin Field and Chris Penney have all been chosen to be the One Rockland Student Committee. Each of these students is involved in sports and activities, is well rounded and fits the job perfectly. There is also a large number of students who have been nominated to be Bulldog mentors. Bulldog Mentors are mainly responsible for helping out the freshmen and preparing them for everything they will face in high school. The Bulldog Mentor captains are Harrison Shields and Lexie Carchedi. All of these students will also take part in the One Rockland fundraisers. One of the first events that One Rockland has planned is a live auction. All the items that are being auctioned have been donated from the clubs, athletic teams, and various members of the community. The live auction will take place on Sunday, November 15, and it will be on the air from 11am to 2pm on WRPS. If you have Comcast it will be on channel 15 and if you have Verizon it will be on channel 32. The WRPS staff which includes Chris Burnieika, Lisa Breeden and David Cable-Murphy are producing the event. When asked about the auction Mr.Rowe stated, “We have over 45 items which includes a signed Julian Edelman jersey, a cooking lesson with Mr. Graziano, tickets to theatre and sporting events, as well as a number of gift certificates and other memorabilia. That will be exciting.” The auction is expected to go pretty well this year and all of the members of One Rockland are hoping for the income to grow each year as the program continues according to Mr. Rowe. Mr. Burnieika mentioned that the estimated income or goal for the event is to raise 5,000 dollars. Many people want to know what the clubs, activities and sports teams will be getting from One Rockland. “The basic thing we’re trying to cover now is uniforms for athletics and transportation and production costs for activities. So things like NHS will have their banquet and ceremony paid for. SGC and band will have their transportation paid for, and we’re hoping to get on a three year uniform cycle so if you play three varsity sports you will get a new uniform every year,” said Mr. Rowe. Like stated earlier, the live auction will take place on Sunday, November 15, and it will be on the air from 11am to 2pm on WRPS. If you have Comcast it will be on channel 15 and if you have Verizon it will be on channel 32.